Baking Tutorial: Shiberty’s 3 Steps Butter Cookies!! 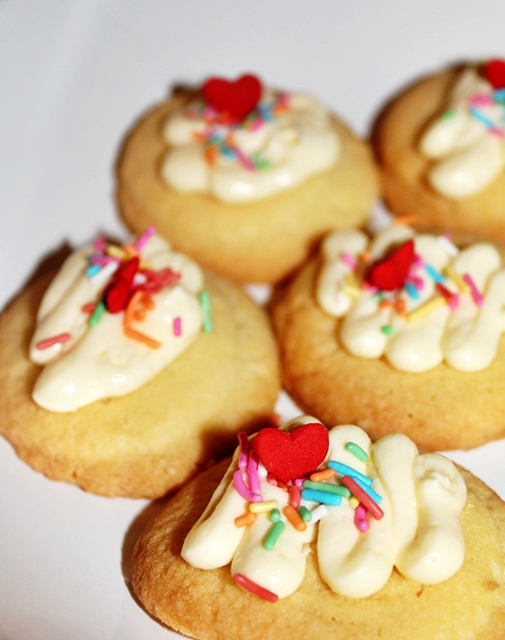 Been in the baking mood once again recently, I made a batch of butter cookies that were so insanely yummeh, I just had to churn out a blog post to share with you guys! Say what, Jess? Have you ever been “out of the baking mood”, considering you work with cakes day in, day out? Lol… I guess what I mean is baking outside of work – just doing it purely for the fun, the way I started out in the beginning. Then my issue with soft and chewy american type of cookies is that they’re sickeningly sweet. I like sweet stuff, but not when they taste like they’re going to give me diabetes. So, I dug up one of my old recipes, re-invented it a little and bake tasted a batch the other day…. Fwah!!! Perfect batch the first try – I’m so pleased The most amazing part is how SIMPLE and fuss-free it is. This is as basic as baking is ever going to get, I find this even easier than baking premixed cakes from Betty Crocker! That’s all. O_O It’s so stupidly straightforward, I will be very surprised if anyone manages to screw this up. Most of the time, what I cook / bake highly depends on what ingredients I already have in stock at homes. This was an instant winner. I believe most households should have all of these ingredients, if not head out and buy some, everything will only cost you a few dollars. 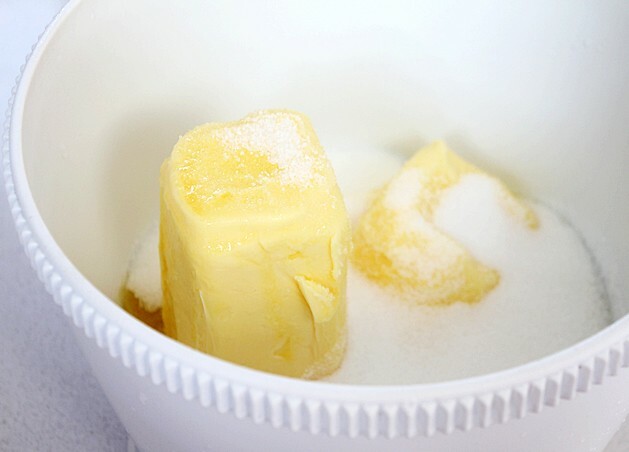 Step 1: Preheat your oven at 180 degrees C.
Make sure your butter is softened, but not melted into oil, and cream together the butter and sugar in a large mixing bowl for several minutes until butter is light and fluffy. If you use an electric mixer, this task only takes less than 5 minutes, but you can also do it by hand.. you’ll just build some serious arm muscles! Step 2: Add in the vanilla extract. Stir it in, then pour in the flour, 1 cup at time, mix well until batter / dough looks something like the above. It should be very moist, not at all runny, and it will already start smelling like cookies! 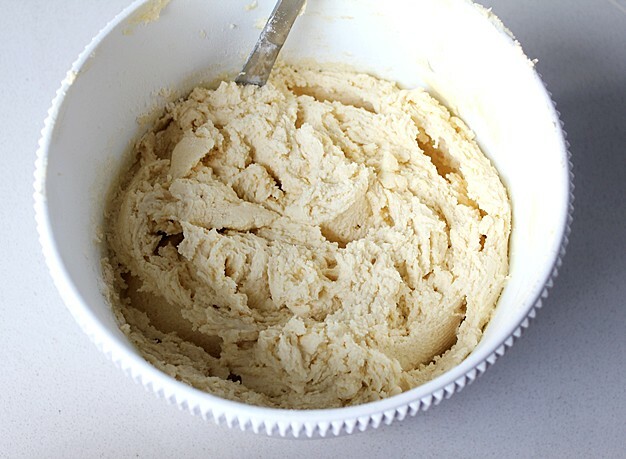 If your dough is even the slightest bit runny, your butter was too melted. Step 3: Either grease a baking pan with butter, non-stick cooking spray or just use a baking paper sheet like I did, then line your tray with cookie dough! You can use your hands to press the dough into circular balls, however I used a piping bag and a large circle piping tip to pipe small circles on. For those who wanna have fun with cookie cutters, unfortunately this recipe is a little too soft and moist for it to work, it will stick to metal. Bake the cookies for 15 minutes at 180, or until slightly golden brown, like in my pictures. You want to leave an adequate amount of space in between the cookie lumps and each cookie lump should only be slightly bigger than a 50 cents coin, because it expands quite a lot when it’s baking. Oh yes!! Meet my adorable baking apprentice and sidekick, Sarah, my little next-door-neighbour. 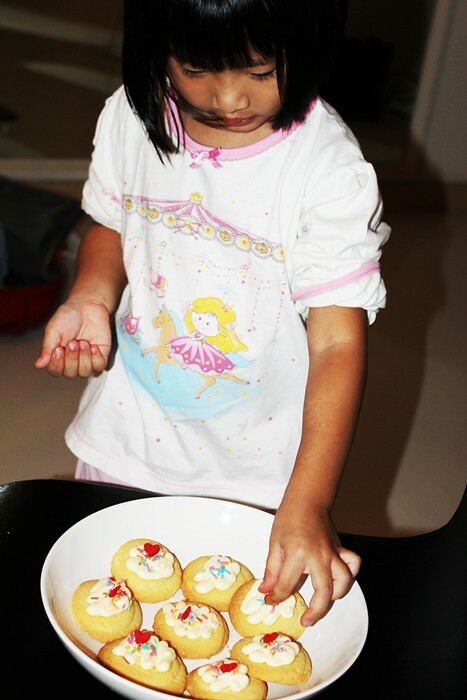 Only 4+ years old and she’s already had first hand baking experience with yours truly… I wish I started out experimenting in the kitchen as young as her! I had brought over the first batch of cookies for my neighbours, after which they kindly invited Sam & I over for dinner in their home where we chatted over a meal and some beers. Those cookies must have been good After dinner I stole Sarah (actually she insisted on coming along hehe) back to my place where she and I baked the remaining batches together. 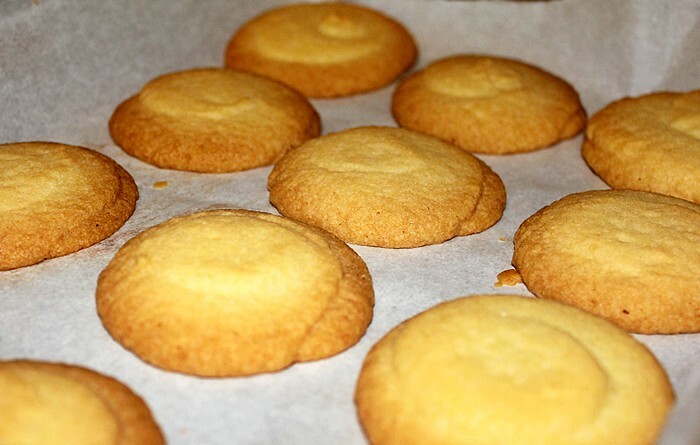 Absolutely delicious butter cookies in 3 steps. Come on, admit it - that was easy. Easy peasy lemon squeezy! These remind me so much of the great butter cookies that come in an old school blue tin, used to love that when I was a kid.. except this is less sweet, and tastes totally of home made goodness. They taste especially incredible when they’re fresh out of the oven, still warm in your hand.. It melts away in your mouth like a crispy cotton candy of sorts. It’s not too sweet, has a great butter taste, is crumbly in the center and has a crispy outside. Sam was blown away even more than myself… I think he had 15 cookies that night. Be forewarned that these crisp little treats are super addictive!! I can’t remember how many cookies in total this recipe made, I think perhaps 50? A lot!!!!!!!! You’ll probably end up giving away most of it to friends like I did, it makes a great surprise gift. 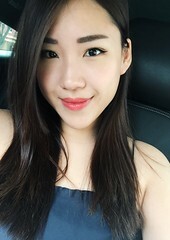 Make sure to store them in an airtight container – they’ll go soft in a day if they are left to soak up Singapore’s humidity. 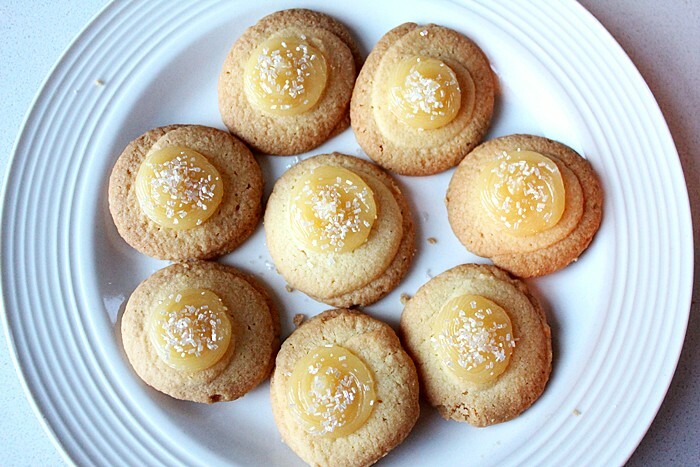 I like them best just on their own, but because I had so many cookies at the end of the night, I decided to experiment with different toppings – this has lemon curd swirled onto the center with some sugar sprinkles – elegant and refreshing! The lemon curd I used was from the Waitrose brand. It has a sweet yet zesty & tangy taste with a smooth jam texture. Yum. Sarah, however… has something else in mind. This little cutie adores rainbow colored things & heart shapes – of course she was going to have me let her decorate some her way! This batch was topped off with cream cheese frosting (philadelphia cream cheese + icing sugar + salted butter) which also turned out to be very popular. 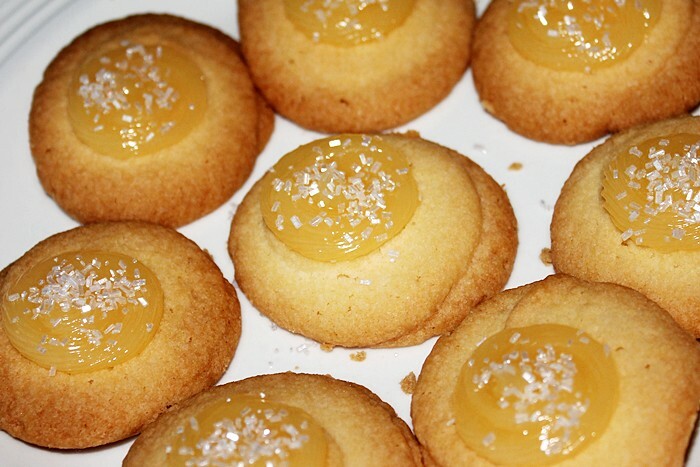 I personally prefer the lemon curd because it’s less sinful and more tart tasting, but both are fabulous variations. My next baking tutorial should be macarons.. they won’t be just any macarons – some VERY special ones. You’ll find out soon-ish, meanwhile I’ll keep y’all in suspense I’ve been meaning to start on this baking project for awhile now. Good luck and have fun baking, everyone!!! This entry was posted in baking, recipes by shiberty. Bookmark the permalink.